The Bengal delta is the largest delta in the world. With growing population of the country, it possesses many advantages as well as disadvantages for the people and policymakers. At one hand we can grab all the opportunities to secure the goal of our development. But on the other hand, we may face challenges as well. In terms of risks from natural disaster due to its deltaic formation, river configuration, and climate change, Bangladesh has made its place as the 5th most vulnerable country. Flooding, river erosion, tidal surge, salinity and cyclone are consistent traits of the country. But the effects of climate change, makes these traits an even greater challenge for the future. Bangladesh and Netherlands has teamed up to prepare a Delta Plan to ensure water and food security, economic progress, and sustainable climate for Bangladesh. The plan not only responds to the problems of today but also takes an account on future issues. Last year, on September 4, Prime Minister Sheikh Hasina along with National Economic Council (NEC) jointly agreed for Delta Plan 2100, prepared by the General Economics Division (GED) of the planning ministry. The century-long delta plan has been divided into three phases, a short-term plan by 2030, a mid-term plan by 2050 and a long-term plan by 2100. A total of 26 studies were carried out by local experts and 80 projects were selected. Former Water Resources Minister Anwar Hossain Manju, while replying to a question at Parliament, said that “In the first phase the government will work on the 80 projects by identifying six ‘hotspots’. These hotspots are coastal areas; Barind Tract and drought-prone region; haor (swamplands) and flash-flood prone areas; Chittagong Hill Tract region; river region and estuaries; and the urban region”. The undertaken 80 projects, of the Bangladesh Delta Plan 2100 (BDP/2100), would cost an estimated $37.5 billion and will be implemented by 2030. According to Planning Minister “Out of these 80 projects, 65 are for the development of infrastructure and the remaining would have attention on building institutional capacity, efficiency and research”. Bangladesh spends only 0.8 per cent of its GDP annually on Delta Management Programmes, but in order to accomplish the 80 projects by the end of the first phase, the figure would have to be tripled to 2.5 per cent. Over the past 3.5 years, the World Bank and the Dutch government have assisted the General Economic Division to build the plan. In order to reach this amount, Green Climate Fund will provide a relief of $2 billion to Bangladesh, every year. The rest of the expense will be handled by other development associates, private sectors and foreign direct investment. Although the Delta Plan Programme is crucial to Bangladesh’s development, many experts have their fair share of doubt about it. The environmental group feels that the Delta Plan Programme was taken without enough consultation and studies. He added that no hydro-morphological study was conducted for the mega project. He also advised the government to consult with other South-Asian countries that share rivers with Bangladesh. Climate experts and environmentalists have also shown their concern regarding the project. Professor of BRAC University and climate expert, Professor Emeritus Dr Ainun Nishat raised the point that the project should go ahead thinking about not only humans but also other species. He further pointed out that the old governmental projects that are taken under by the mega project, needs modification. The need for collective national discussion becomes very evident due to the huge budget and the projects long-term time period. 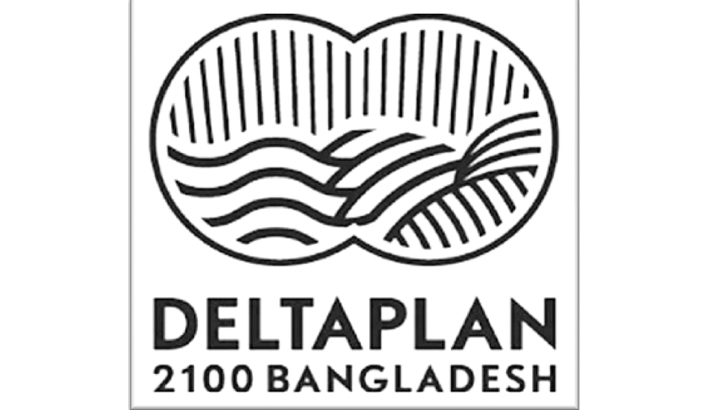 Thus a two-day special conference on ‘Delta Plan 2100 and Sustainable Development in Bangladesh’ was jointly hosted by Bangladesh Paribesh Andolon (BAPA) and Bangladesh Environment Network (BEN). On January 11 and 12, the conference held at (KIB) Krishibid Institution Bangladesh. Environmentalists, researchers, academicians and civil society representatives from US, India, and Nepal responded positively to the programme. The two-day conference ended up having 92 research papers being presented in different sessions and a total of 38 recommendations. The recommendations also repeated the same issues, that is, to improve and rectify the delta plan through further studies and discussions with experts on these sectors.